The company received the honour in recognition of its efforts and contributions to excellence in various areas of social responsibility, said a statement. 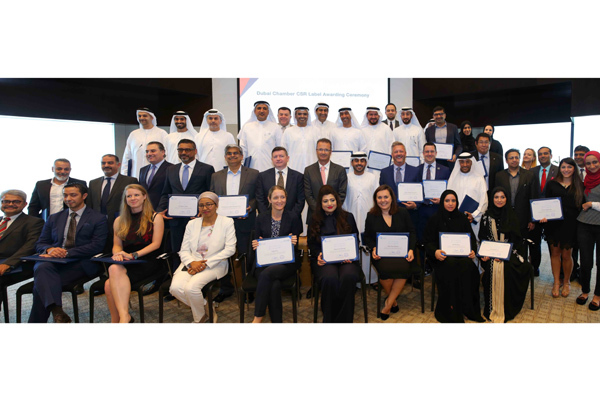 The Dubai Chamber Social Corporate Responsibility Label is designed to provide a diagnostic practice that enables the chamber to scrutinise and examine the activities of companies both internally and externally, it said. This helps companies assess their current contributions to CSR and determine how to further improve their leadership position in the area of social responsibility within industry, it added. Drydocks World Corporate Social Responsibility Committee is always working on identifying all the objectives of the employee's involvement in awareness and volunteering programs for various charitable activities in order to enhance volunteering opportunities in cooperation with charitable organisations such as Al Noor Training Centre for Persons with Disabilities and the Emirates Red Crescent to participate in external activities. Drydocks World participated in "Earth Hour 2017," a global event held annually advocating turning off power for one hour.